XTZ CD100 review | What Hi-Fi? If first impressions count, Swedish manufacturer XTZ is onto a winner here. The build, finish and specification of this machine is terrific for the money, and closer to what one might expect from something around the £1000 mark. This player is only sold online in the UK (at www.audiosanctum.co.uk), which goes a long way to explaining the ultra-competitive price. Closer inspection reveals a slightly odd feel to the finish on the silver parts of the casework, a cluttered display and a metal remote handset with poorly laid-out buttons. While not ideal, none of these things are serious enough to spoil the XTZ's positive vibe. Listening doesn't mess things up either. Give Frank Sinatra's It Was A Very Good Year a spin and this player is right at home. Its sound has an easy-going fluidity and an attractive sense of space around instruments and voices. We like the full-bodied midrange and refined higher frequencies, which work a treat on Sinatra's voice. 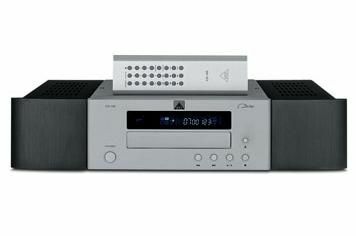 If you listen to music such as this, or gentler forms of classical, the CD 100 will be right at home. It runs into a little trouble when asked to deliver the full drama of Orff's Carmina Burana, though. Here, the player sounds a little too gentle for our tastes. Switching to something rhythmically complex such as Massive Attack's Flat of the Blade shows the CD 100 can't quite hold it together under duress, too. It loses some of the song's drive and impact. That said, it still sounds ‘nice'. We can't deny this XTZ has plenty of appeal. Its impressive build and organic sound are good enough to make it worth considering – provided you fall for its easy-going nature, that is.